The more time you spend thinking whether you should switch to artificial grass from San Diego Artificial Turf, the more time and money you will spend on maintaining a natural grass landscape. 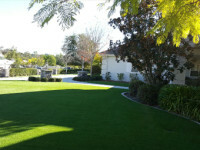 Our turf is drastically changing San Diego CA landscapes into gorgeous works of art. Stop delaying and make the switch to the most durable realistic artificial grass provided by us. It requires minimal maintenance and will withstand the effects of any weather conditions. Our synthetic grass may be installed on any hard surface and you can be assured you will no longer have to deal with dry grass, brown/yellow spots, pet damage and many other inconveniences that come along with natural grass. 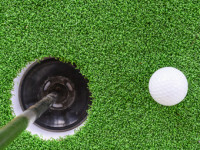 Whether it’s installing a turf putting green, playground safety surface or tree well surfacing, make the decision to save today, you will not regret it.